During his first years on the lathe, Ernst Gamperl used to be ever on the lookout for precious, exotic wood and worked with about 200 different types of wood. As Gamperl’s technique improved and had gained a deeper understanding towards his material, he came to prefer wood that was familiar and near-at-hand. 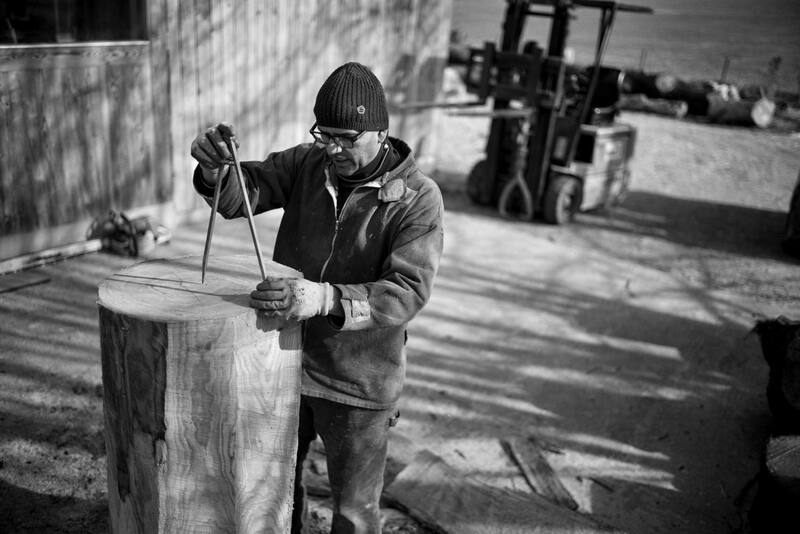 For many years now he prefers native European wood like maple, beech, Italian olive tree and principally oak, as well as timber which is almost unnoticed in the wood-processing sector. This was because Gamperl regarded them to be a perfect material for his work which was the result of a definite harmony between the technique and the material itself. To acquire such material, Gamperl tries to be as environmentally friendly as possible. Instead of logging trees, he gathers material from trees which fell due to natural causes such as strong winds. At times, forest rangers have contacted him to let him know that he could use certain trees which were logged because they were judged to have adverse effects on humans and the ecosystem. 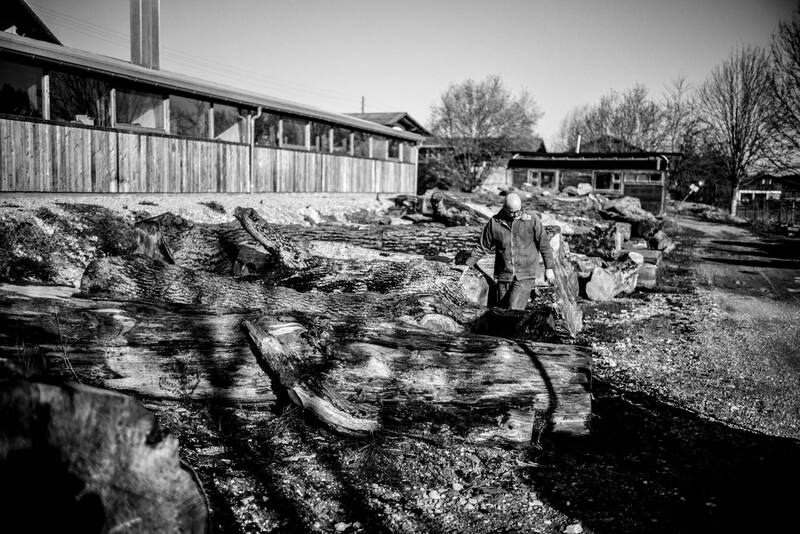 Gathering natural wood while trying his best to avoid unnecessary logging is an important part of Gamperl’s creative process. A number of years ago, he started planting thousands of trees and bushes in return of what he received from nature as a sign of appreciation and gratitude towards those trees he was and is still working with. Along with the shift in his material, Gamperl’s process has also evolved to meet the ever-changing condition of the wood. In his early years, he turned “rough forms” out of freshly-cut wood that took months or years to dry before they could be further treated. The merit of using dry wood lies in the fact that the final shape and size is more controllable due to the already completed drying process before starting the fine work on the lathe. Therefore his early works display precise craftsmanship which reflects the meticulousness of the technique and a clear direction towards design. Nowadays it is most important for Gamperl to start with untreated, virgin wood. This is something which comes with a risk. As the wood dries, its shape constantly changes and it can even break during the carving process. With his extraordinary technique and understanding of the material, Gamperl can overcome such difficulties to successfully take in the changes as part of his work. Gamperl accepts such natural changes, which goes beyond the will of the creator, to be one of the features of his work. This is because unexpected beauty can never be produced without accepting natural changes. Since Gamperl’s process shifted towards using wood with hidden possibilities, he virtually researches possibilities for processing wood ― which sometimes weigh more than 500 kilograms. Unconventional to traditional techniques, he uses tools from unrelated sectors such as violin-making or others, and is constructing machines and tools to help him meaningfully implement his visions. Elements such as grain, texture and weight are also important. Gamperl also stresses that the dialogue with the material is essential. For him it is interesting to know which forces have been acting on the tree and its growth during its life time. Did the tree stand alone or was it among many trees in a forest? Did it grow on rich or hungry soil? Did it stand against wind and weather only for several years or maybe for centuries? – all these are important questions and factors which influence indelibly the “memory of the grain” and give the receptacle its final form. The knowledge of such differences in the tree’s background is decisive in predicting the possible changes during the drying process. This is why a deep understanding about material and techniques is so important in bringing out the wood’s fullest potential and beauty. In consequence, you will find the artist’s mark and work number, the year it was made and quite importantly, the age of the tree on the bottom of each receptacle. Gamperl’s works are vast because he always approaches his materials with an open heart. From large imposing works to sheer and delicate pieces, his works with their original yet minimalistic form directly transmit his technique and a certain regard towards the material to those who see them. Ernst Gamperl was born in Munich, Germany in 1965. As a high school student, Gamperl was already looking for a possibility to work with wood with his friends. Shortly after graduating from high school in 1989, Gamperl decided to become an apprentice in cabinet-making. During his apprenticeship, as it drew to a close, he accidentally came upon a wooden lathe in the corner of the apprentice workshop. The lathe was covered with dust and has not been used for years. Gamperl has never used a lathe before and it was his very first encounter with a real lathe. He carefully cleaned and adjusted it to make everything move again. But as soon as he started working on it, the wood broke and wooden pieces flew around the room. Luckily, the wooden pieces did not strike his face, but fascinated by this experience and in thirst of knowledge, Gamperl devoted himself to reading books referring to woodturning from then on. In 1990, Gamperl established his first studio in Trauchgau, a southern Bavarian village in the Alps which sits near the border between Germany and Austria. Gamperl has always based his activities around this area ever since he graduated from high school in Munich. Trauchgau is also the place where he took his apprenticeship in cabinet making. Surrounded by rich trees, Trauchgau was an ideal location for Gamperl who was also fond of sports such as free climbing and cycling. Soon after establishing his studio, he got well-known for his first paper-thin maple wood bowls. Sometime later, a professor from the design school Fachhochschule Hildesheim, offered him ― Gamperl was not considered a professional turner because he was self-taught ― the possibility to be trained in “master in turnery“ to get the title “Meister” This title is an exclusive crafts degree in Germany which can only be obtained after at least three years of apprenticeship in a specific craft sector and after another year of a special master apprenticeship. Shortly afterwards, Gamperl became one of the most internationally acclaimed artists. It did not take long for the world to take notice of his unique works. Gamperl’s works have been featured in various exhibitions and he has been awarded countless prizes and honors. Presently, his works can be seen in various renowned museums around the world. In 1990, Gamperl established his first studio in Trauchgau, a southern Bavarian town in the Alps which sits near the border between Germany and Austria. Gamperl has always based his activities in this town ever since he graduated from high school in Munich. Trauchgau is also the place where he took his apprenticeship in carpentry. Surrounded by rich trees, Trauchgau was an ideal location for Gamperl who was also fond of sports such as free climbing and cycling. Soon after establishing his studio, a professor from Fachhochschule Hildesheim, a design school in Hildeshiem, noticed Gamperl’s works and encouraged him to study there and to obtain the degree of Meister. Meister is an exclusive academic degree given to extraordinary talents who studied at German education institutions. Being an autodidact with still limited experience, Gamperl accepted the professor’s proposal. After completing his one year course and acquiring the degree of Meister, Gamperl soon became one of the most internationally acclaimed artists. It did not take long for the world to remark his unique works. Gamperl’s works have been featured in various exhibitions and he has been awarded with countless prizes and honors. Presently, his works are archived in various renowned museums around the world. After staying for several years in Trauchgau, Ernst Gamperl decided to move to Tremosine, an Italian village in the mountains above Lake Garda and in the proximity to Milan, so that he could explore new design possibilities and meet new people. Surrounded by abundant nature in Tremosine, Gamperl gained new creative ideas to work on various projects. After spending nearly 20 years in Tremosine, Gamperl moved back to Germany in 2012 to make his home in another small village not so far from Trauchgau. Today, he continues his creative activities in the area where he spent his precious period as a youth. It was during a design fair in Italy when Sonya Park, the creative director of ARTS & SCIENCE, saw Gamperl’s work for the first time. Sonya, who instantly understood its uniqueness, proposed to hold an exhibition in Japan. Starting from “display by ARTS & SCIENCE” in 2010 and “AT THE CORNER by ARTS & SCIENCE” in 2014, this is the third exhibition and the first time in Japan since Gamperl won the LOEWE CRAFT PRIZE in 2017. “Gamperl’s work will look really well with traditional Japanese rooms. 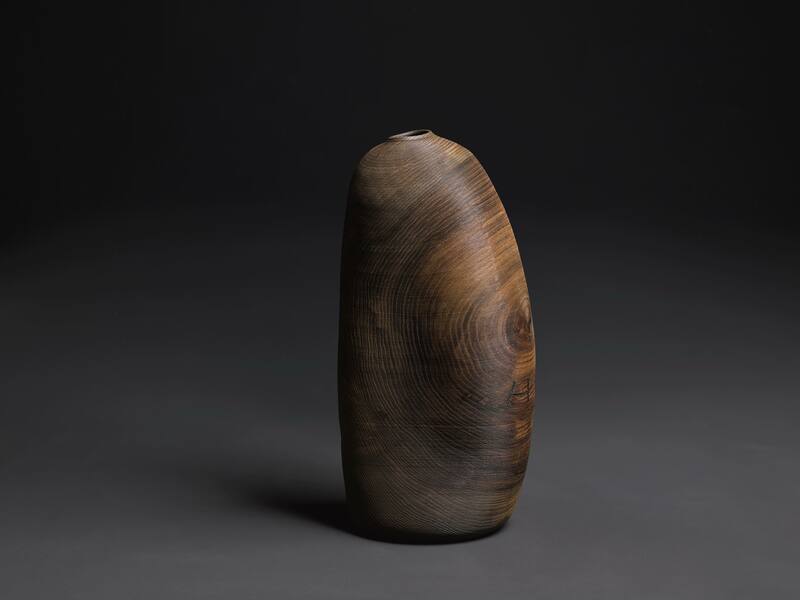 His works using wood blend naturally with the interior and it might even be interesting to display his work by itself like an ikebana flower arrangement. Even if you don’t put anything inside and display them as an object, the natural warmth emanating from itself will allow us to come up with various ways to appreciate it.” remarks Sonya. Gamperl’s work can be admired by many ways due to its unshaken nature. We hope that this exhibition will lead you to the profound world of craft. Born in Munich, Germany in 1965. 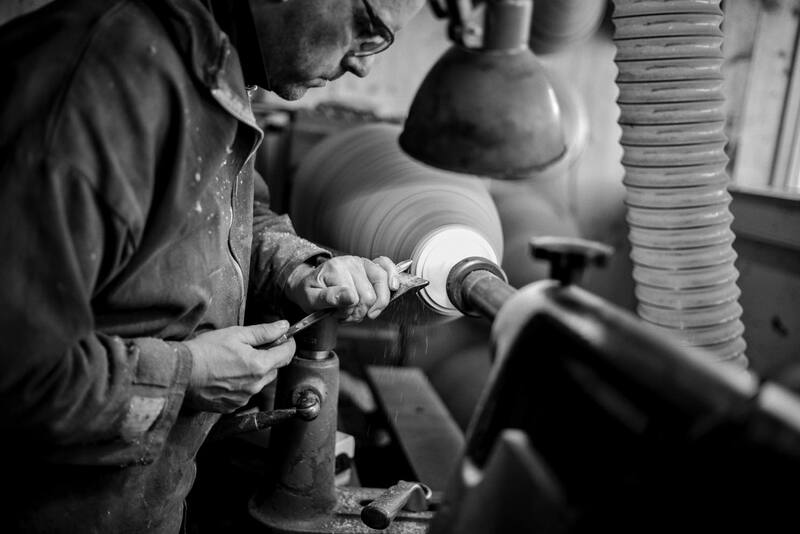 Woodturner / Designer of bowls and vessels. 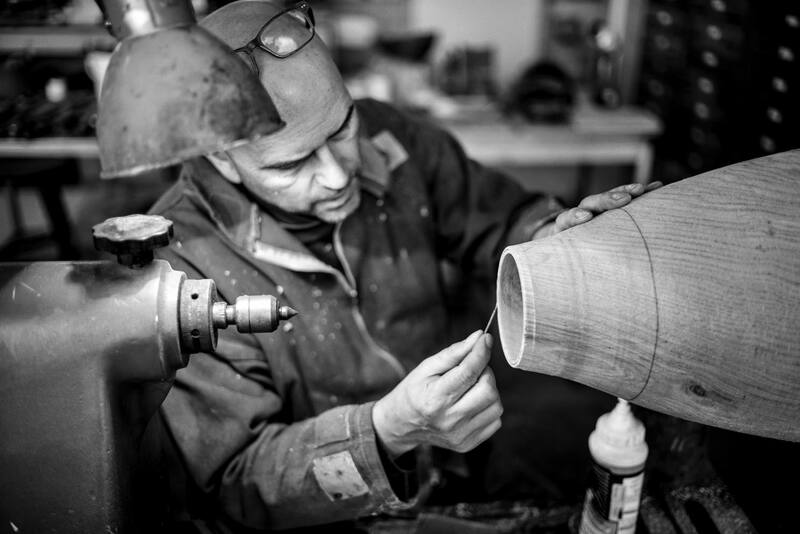 After graduating from high school, he was originally trained as cabinet maker and stumbled on woodturning by chance. Starting out an autodidact with no previous knowledge of the art, equipped with a book of woodturning, he was unhampered by convention in his approach to turnery. 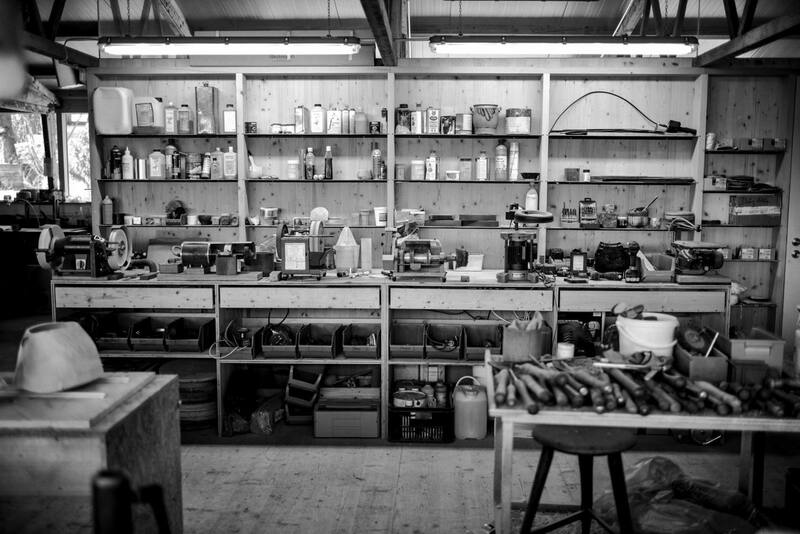 After a few years, by means of patient autodidactic exercises and research, he has perfected this technique, and he already established his first atelier in 1990. And after about three years, he entered the design school, Fachhochschule Hildesheim (Germany), and got the title “Meister”, (Master of turnery).